Dr Cameron Huddlestone-Holmes is a Senior Research Scientist in CSIRO Energy. Cameron works on environmental, geological and geotechnical problems in the earth resources industry, primarily in the unconventional gas, coal and geothermal sectors. His specialty is in integrating multi-disciplinary capabilities in geoscience and resource engineering and applying them to solving problems in industry. The majority of Cameron's current work is conducted with the Gas Industry Social and Environmental Research Alliance (GISERA) on social and environmental topics related to the onshore gas industry. The impact of the research that Cameron is involved in is primarily through assisting the sustainable development of Australia's energy related earth resources. The efficient and sustainable development of earth resources requires an understanding of the geology of these resources, the engineering methods that are required to utilise these resources and how these factors influence the costs, productivity, safety and social and environmental impacts of resource development. 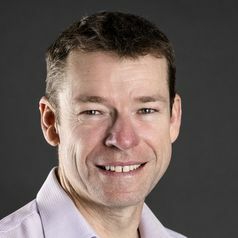 Cameron led CSIRO’s Geothermal Energy Research Stream for 5 years and gained a good understanding of the role of renewables and traditional energy sources in Australia. Cameron is also a member of ARENA’s Advisory Panel, providing reviews on a range of funding programs. Cameron's work in geothermal energy has been used extensively by ARENA to help formulate their approach to the geothermal energy sector, fulfilling CSIRO's role as a trusted advisor to government and the broader community. Prior to his work with CSIRO, Dr Huddlestone-Holmes held the positions of lecturer, Masters coordinator, and project manager at James Cook University, Queensland in the field of minerals geosciences. His primary research interests were in structural geology. Dr Huddlestone-Holmes also spent 6 years working in the mining industry prior to commmencing his PhD.